Archaeologists working at Stonehenge have found the oldest-known Mesolithic encampment in the United Kingdom. The remarkable discovery of the 6,000-year-old site adds a new complication to the British government's plan to build a 1.8-mile (2.9 km) tunnel beneath the site. As we reported earlier this month, the Cameron administration, in an effort to ease traffic in the region, is entertaining proposals to build a £2 billion ($3.12 billion) tunnel under Stonehenge. The traffic in the region has been a total mess ever since the A344 highway was shut down last year. Groups like English Heritage and National Trust think it's a great idea, but archaeologists and environmentalists are very worried about what a tunnel could mean to the historic and sensitive region. Things just got way more complicated owing the discovery of a Mesolithic encampment located about 1.5 miles (2.4 km) from the ancient monument. Archaeologists from the University of Buckingham have dug up charcoal from Blick Mead dated to around 4,000 BC. They also found tools and evidence of feasting, including burnt flints and the remains of aurochs — giant bull-like animals eaten by early hunter-gatherers. They also found evidence of possible structures, but more investigation is needed. British pre-history may have to be rewritten. 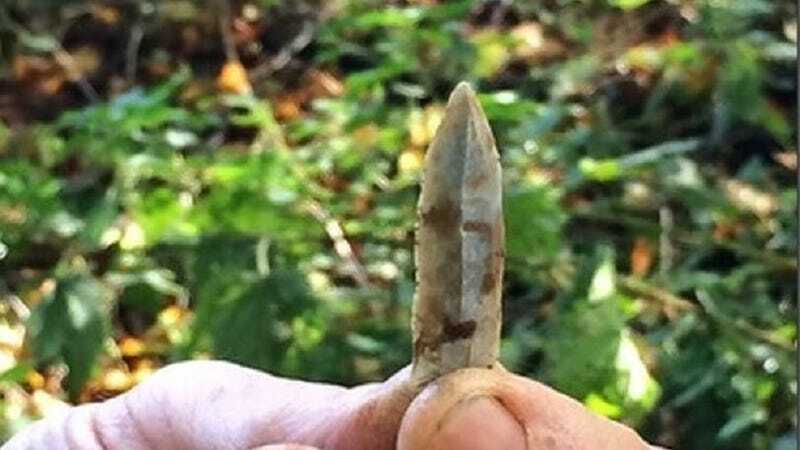 This is the latest-dated Mesolithic encampment ever found in the UK. Blick Mead could explain what archaeologists have been searching for for centuries – an answer to the story of Stonehenge's past. But our only chance to find out about the earliest chapter of Britain's history could be wrecked if the tunnel goes ahead. The PM is interested in re-election in 140 days. We are interested in discovering how our ancestors lived 6,000 years ago. Indeed, the discovery connects the early hunter-gatherer groups returning to Britain after the Ice Age to Stonehenge up until the Neolithic area in the late 5th millennium BC. The archaeologists say that Blick Mead represents a pivotal time in British history, when the British Isles became distinct from the European mainland. It's too early to know how this discovery will influence plans to build the tunnel, but as noted in the BBC, the U.K. Department of Transport said it would "consult before any building." The archaeologists are worried that the proposed tunnel could affect the water table. Andy Rhind-Tutt of the Amesbury Museum and Heritage Trust is quoted in the Buckingham release as saying: "Due to the chalkland landscape the tunnel would effectively become a dam, which would change the water course, causing problems. Kilometres of chalk would have to be extracted. Air conditioning, water pumps, lighting and maintenance costs would be colossal. A much more practical solution would be to reroute the A303, supporting South Wiltshire as well as the West Country."